Awards, especially the announcement of the nominees, follow a familiar pattern: anticipation and excitement followed by incredulity. It’s a well known fact that, despite being irresistible and so much fun, awards always get it wrong. Having said that, this year’s Olivier nominations got almost everything right: there is little I would object to, at least not with any conviction. Tomorrow’s award ceremony would be unique in that respect, I can route for almost everybody. But inevitably, with the quality of London theatre, many productions missed out. Following the rule of the Kermodes (no one nominated for an Olivier is eligible), here are my awards for the past theatrical year. With an additional category or two. Because they are my awards and I can do what I like. Will Adrian Scarborough be Simon Russell Beale’s Fool? 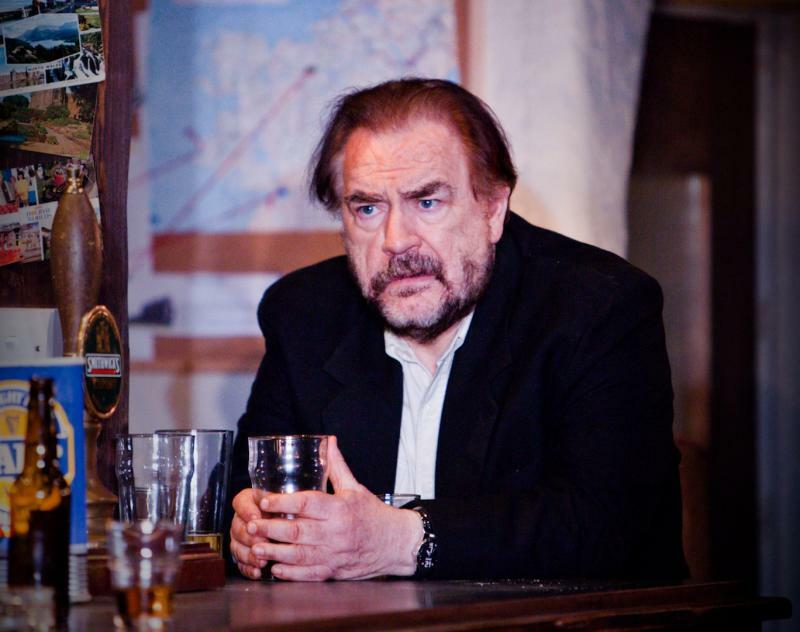 Could the cast of King Lear get any better? 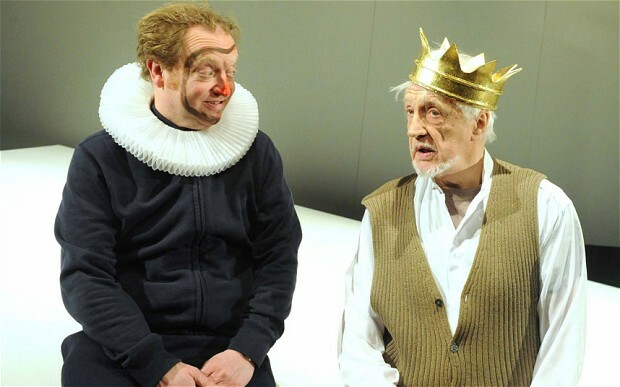 Simon Russell Beale’s King Lear, directed by Sam Mendes and heading for the National in 2014, will undoubtedly be the theatre destination for next year. Phrases like “hot ticket” and “eagerly anticipated” are frequently used, but in this case totally justified. The rest of the cast isn’t announced yet, but word is Adrian Scarborough will be Simon Russell Beale’s Fool. Be still my heart, can this be right? Excitement kicks up another notch (if that was possible) and we only have nine months to wait. In other casting news, Christopher Marlowe’s Edward II starring John Heffernan and directed by Joe Hill-Gibbins, will be staged at the National Theatre later in the year, a great opportunity to see the play with one of the most exciting young actors in the title role. (And it will make a nice companion piece to the Royal Shakespeare Company’s Richard II starring David Tennant). Again, very little information about the remaining cast but Vanessa Kirby will play Isabella, a sign that things will be very interesting indeed. For pure heart-fluttering excitement, the combination of Shakespeare and big name actors is hard to beat. 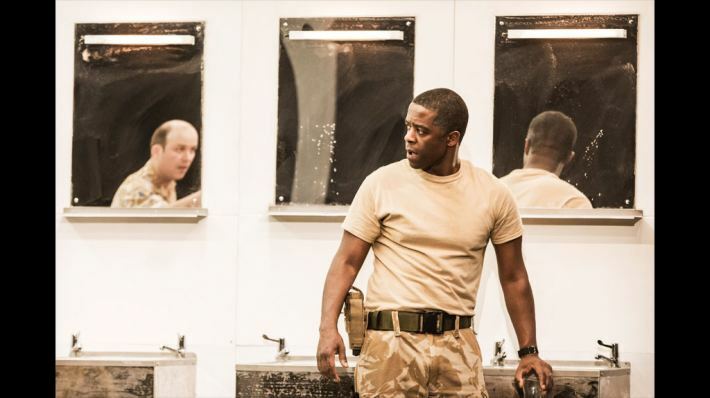 Macbeth and James McAvoy earlier this year, Richard II and David Tennant from October, and somewhere in the middle Othello with Adrian Lester and Rory Kinnear punctuate the theatrical year with spine tingling anticipation. Shakespeare’s plays breath with charismatic actors who can take reign of uncompromising characters, and Nic Hytner’s production, visceral and sharp, delivers in those terms. In conversations about seminal productions of recent years, specifically seminal productions I have missed, Mikhail Bulgakov’s The White Guard, performed at the National Theatre in 2010, often comes up. A russian classic, adapted by Andrew Upton, directed by Howard Davies, designed by Bunny Christie and with Paul Higgins and Justine Mitchell in the cast, made a huge impression to anyone who saw it. The current production of Maxim Gorky’s Children of the Sun, with many of the same people involved, inevitably carries high expectations. And they are not squandered. Early 20th century Russia, the middle classes play and live in the protected bubble of self-delusion and good intentions while a new world is tearing down the gates. Protasov (Geoffrey Streatfeild) has a god-like insight into the future of science and cosmos but human interactions escape him (and he escapes them). His wife Yelena (Justine Mitchell), an intelligent earthy woman, desperately tries to connect her husband to herself and to the world, and her continuous failure wounds her deeply. His friend Boris (Paul Higgins) despises illusions and has clarity of vision, but his inability to act and affect change increasingly drains him of hope, with only his love for Liza giving him focus. 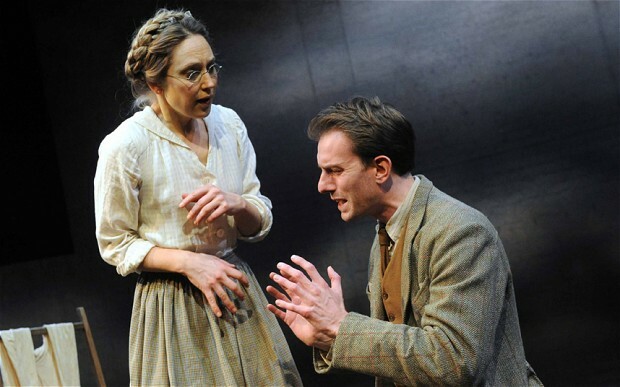 Protasov’s sister Liza (Emma Lowndes), a vulnerable woman who feels the world as a stab, clings to, spars with and rebuffs Boris in equal measures. Other friends, lovers, work associates and servants swarm around the family, the focus of the community for generations and the eye of the hurricane to come. 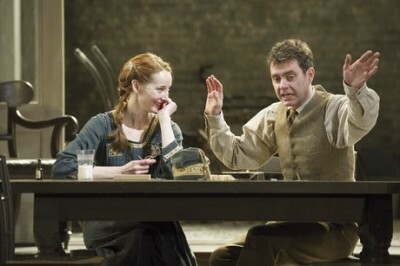 Stoppard’s Arcadia. 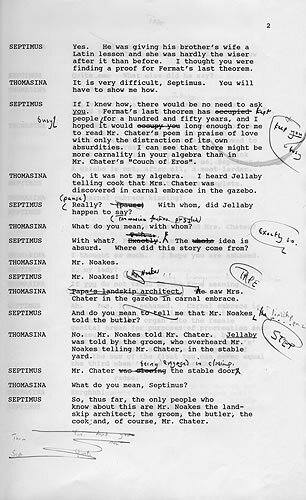 © Tom Stoppard. From the Harry Ransom Centre website. 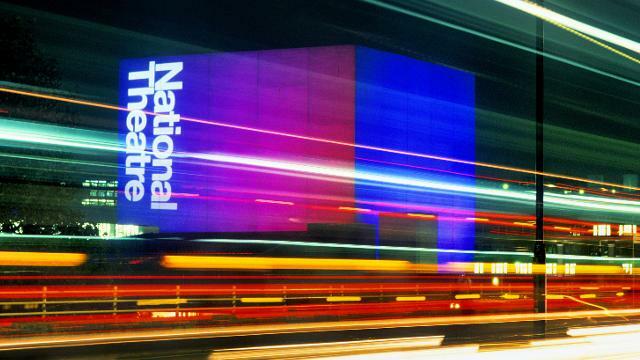 Tom Stoppard’s Arcadia premiered at the National Theatre on April 13th 1993, 20 years ago. I am not inclined to remember these things, but recently I came across an old interview with Simon Russell Beale that got me thinking about that moment in time: Mr Beale was preparing for Richard III and wouldn’t do Hamlet for several years yet, Arcadia – the best play of all time – was just coming out to the world and I hadn’t the faintest idea I would eventually move to London and spent almost all my adult life in England.